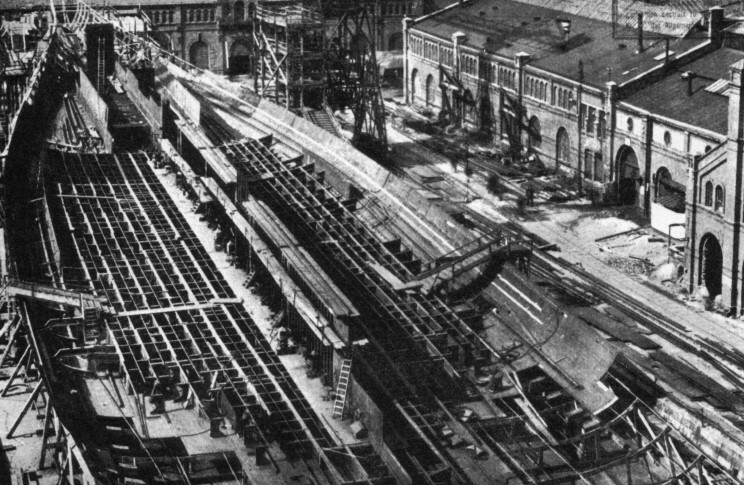 1914: Hindenburg under construction at the Kaiserliche Werft, Wilhelmshaven, Germany. 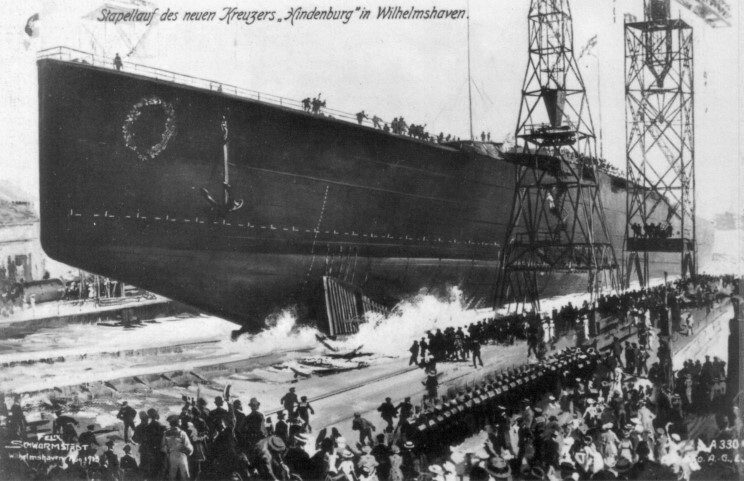 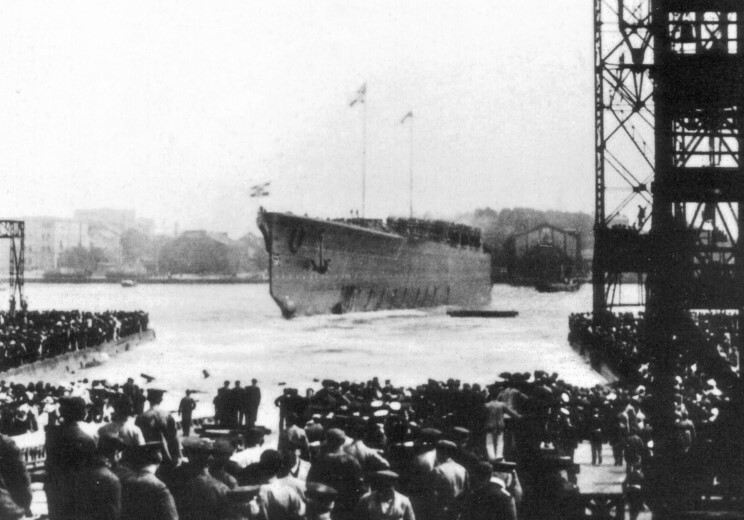 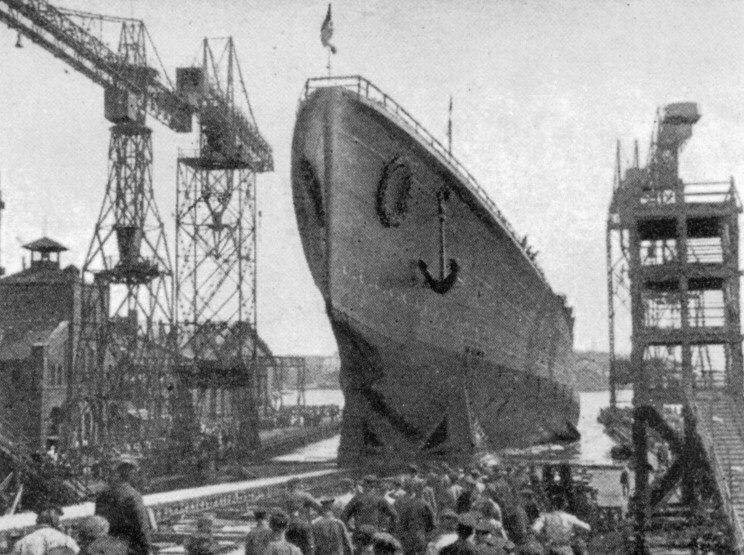 August 1, 1915: Launch of Hindenburg. 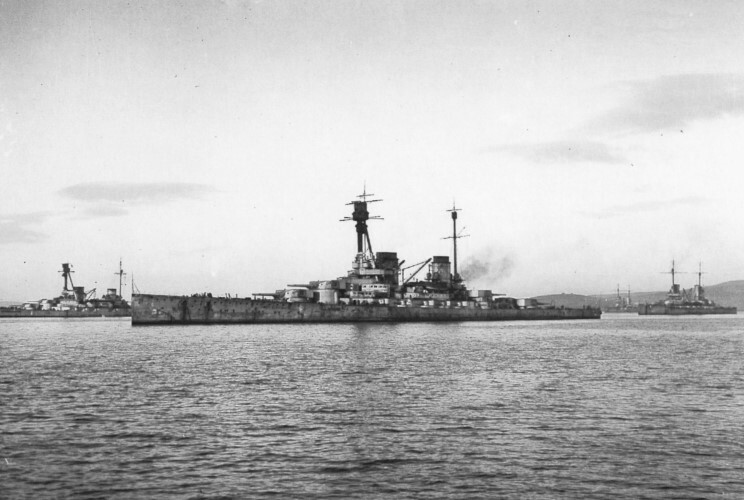 SMS Hindenburg and SMS Derfflinger (background left) with other ships from the High Seas Fleet interned at Scapa Flow following World War 1.